Seattle’s electrifying burlesque scene wouldn’t be nearly as bustling or diverse without the presence of some key performers. Check out our list below for some of the unique, fearless talents that grace the glorious stages of the Emerald City. 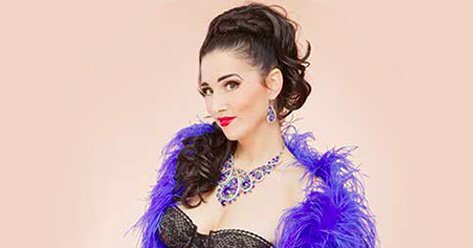 Miss Indigo Blue founded the Academy of Burlesque in 2003 and remains its Headmistress. Her strong theater and dance background is apparent in her passionate performances, which are often also hilarious and musical. It is no wonder that Miss Indigo Blue is highly decorated both as a performer and instructor. Be sure to check out one of her many upcoming shows and then take a class with her at the Academy. You’d never know it, but Iva Handfull has never had any formal dance training (though she did graduate from the esteemed Miss Indigo Blue’s Academy of Burlesque in 2007). That didn’t stop her from being crowned the Queen of the Kansas City Burlesque Festival in 2013. Iva credits her ferocious stage presence and edgy energy to her love of industrial music. Sailor St. Claire, or The Showgirl Scholar, describes herself as “a curvaceous redhead with learned mind and an A+ anatomy.” This studious starlet regularly performs with Sinner Saint Burlesque, is a co-producer of Naked Girls Reading – Seattle, and produces and hosts Tuesday Tease, Seattle’s only monthly burlesque revue featuring live musical accompaniment. New York native Boom Boom L’Roux, The Sound of Freedom, brings spice to her classic burlesque performances. She will melt your heart and soul with her powerhouse performances. Did we miss any of your favorite performers? Let us know on Facebook and Twitter!